Japan faces a rapidly aging population. As more and more of the population greys, fewer and fewer young people are available to care for the elderly. There is a particular shortage of health care workers who work with the elderly therefore the demand for elderly health care is not being met. Among health care workers, there is a high turnover rate which was close to 17% in 2013. Japan’s answer to this shortage is research in robot technology to assist in elderly health care. Another robot being developed in the country is the ChihiraAico, a 32-year-old Japanese woman look-alike that is supposed to ease communication between humans and non-humans. The creators at Toshiba are aiming to use ChihiraAico with patients with dementia to help them connect with counselors and medical staff with ease. On the other side of the Pacific, the USA is developing PARO, a robotic pet. There is evidence to show that pets can effectively combat loneliness among the elderly and PARO currently shows promising results. A pilot test in a home suggested that elderly residents feel calmer and less anxious after interacting with these robotic pets. Robotic technology in Japan is not limited to health care, and has expanded to a range of end-of-life services. As more and more elderly people take charge of their funerals, Japan’s end-of-life industry has come up with ‘skyscraper graveyards’. Traditionally, the Japanese cremate the dead and store the ashes in the family crypts in cemeteries. Due to the space constraints, ‘skyscraper graveyards’ have become increasingly popular. Relatives are given identity cards and robotic arms assist them in retrieving the urns stored in vaults deep underground. 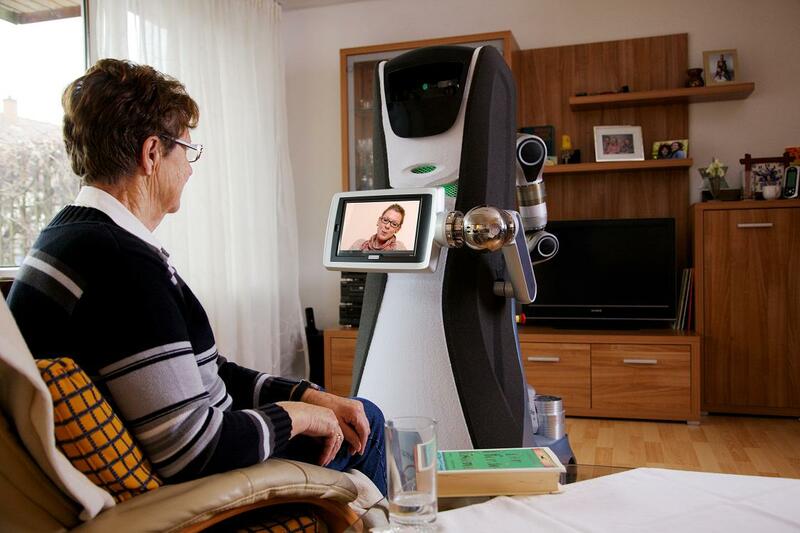 Using robots for elderly health care has advantages and disadvantages. On the one hand, robots can effectively aid in the under-staffed health care system in Japan by assisting in hospitals and elder care units. It can also be placed in individual homes and provide remote monitoring of the individual. Moreover, it can help combat loneliness. On the other hand, the use of such expensive technology raises questions on the lack of human relationships and its impact on family dynamics. Is robot technology the future of elderly health care? What is the scope for robots outside of high income countries like Japan and USA? What, if any, impact will the high dependability on robots have on human-to-human interaction? Only time can answer these questions. Japan’s experiments with robots are promising, and if this technology proves to decrease the burden of aging on Japan’s health care, there will only be more demand and a greater space for robotic technology.